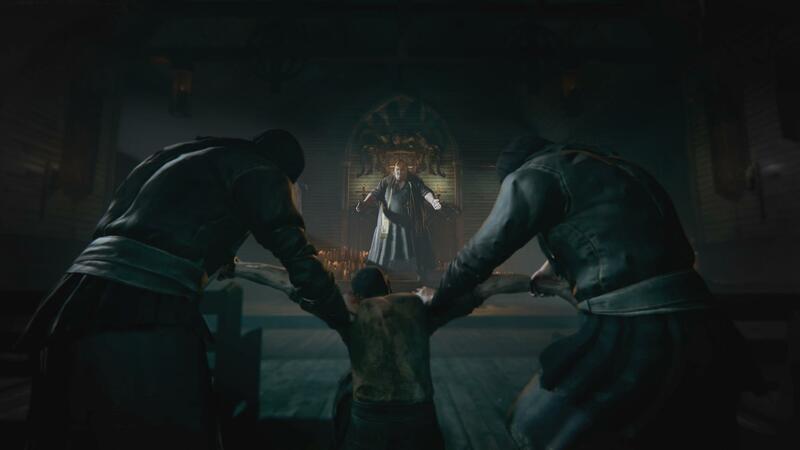 Outlast 2 has been updated with a new Story Mode designed for players who want to explore without having to worry so much about monsters. The Outlast 2 patch, available now, adds the Story Mode and makes other changes in the pacing to create a smoother experience for players not looking for a challenge. Playing the game in Story Mode means you’ll run into less enemy encounters, take less damage when spotted, and have an easier time sneaking past enemies thanks to their reduced perception and speed. According to developer Red Barrels, the intent is to allow players to explore the game’s world more freely. However, this is very different from SOMA’s Safe Mode, which eliminates all combat entirely. In Outlast’s version, you can still die, and will need to work your away around the game’s dangers all the same, you’ll just have an easier time doing it. Red Barrels also reverted some changes it previously had to make in order not to get an AO (Adults Only) rating at the game’s initial release. The developer did not detail what these changes are, but it did say that they do not impact gameplay. Outlast 2 was released this week on Nintendo Switch, following the release of the first Outlast and its DLC one month ago.